Top 10 Credit Score Myths- Which Myth Did You Believe? Having a good credit score is very important to both the borrower and the lender. How much you can borrow and what your interest rates will be largely dependent on your credit score. It may not sound like a lot, but paying 1 to 2 percent more on an interest rate will make the overall cost of the loan go up by a few thousand dollars. Also, there is a chance you won’t be able to borrow as much as you hoped if your credit score is less than perfect. Another negative side of having a bad credit score is that more and more employers use credit reports to evaluate applicants. In this economy and job market, having a good credit score is important. It is also important to learn about your credit score and mortgage approval. Too many inquiries will hurt my credit score. Checking your credit report will not hurt your credit score. When you pull your credit report, this is seen as a “soft inquiry” and it will only show on a personal credit report. However, when a lender checks your credit report, this is considered a “hard inquiry”, which will be added to the report and will affect your credit score. Checking your credit report for yourself is actually encouraged because it will help you manage your finances better. You can get a yearly free credit report on websites like annualcreditreport.com. Paying my debts will result in a higher credit score immediately. While paying off your debt is encouraged in order to increase your credit score, this will not happen instantly. Closing your accounts, on the other hand, can hurt your credit score. A very important factor in credit scores is the relationship between the total balance and the total credit limit. The increase in your credit score after you pay off your debts will largely depend on your credit history. My credit score is perfect because I haven’t done anything wrong. While it is logical to think this way, this may not be true at all. It is estimated that 70 percent of all credit reports have errors in them, and that may lead to a lower credit score. If you encounter any errors on your report, it is your right to contact the issuer and demand that they are fixed. 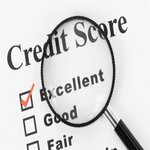 My credit report looks good, so I shouldn’t be worried. If you have checked your credit report and think that everything looks good, keep in mind that there are actually 3 national credit reporting agencies: Experian, Equifax and TransUnion. If you have only checked one of them, there is still a chance that there might be errors on one of the others. Not using my credit cards will help my credit score. Using your credit cards to pay for things like groceries, gas, or utilities will demonstrate to the lender that you are responsible with managing your credit. This takes some discipline, but using credit cards will help you build positive history which will, in time, increase your credit score and ensure that you are offered the best terms and interest rates when applying for new services. My credit score is influenced by how much money and assets I have. Because credit reports don’t show bank account balances or your assets, these numbers won’t influence your credit score. They will, however, show if you are not making your monthly payments on time or if a bank has turned over the balance that you owe to a collection agency. Credit counseling will lower my credit score. Credit counseling doesn’t influence your credit score, but the fact that you have been in counseling will show up on your credit report. This may not look good in the eyes of a lender, but they will be more interested in your monthly payment history. A low credit score won’t prevent me from being hired. Companies in some industries require a credit check before hiring in order to prevent application fraud. Your written permission is required before the employer can pull your credit report, so you will have the chance to explain any issues that might come up. A good credit score allows me to borrow a lot. You should always borrow only as much as you need and as little as possible. The amount that you owe and the credit that is available to you is considered by the credit score. Hitting a credit card limit will negatively affect your credit score. My race, gender, marital status, religion, or education level can affect my credit score. Under the Equal Credit Opportunity Act, your credit score cannot be based on any of the above. Also, this information will not show up on your credit report. It is very important to keep an eye on your credit score, know what affects it and what doesn’t, and what your rights and limitations are. Credit score myths can lead to very expensive mistakes, so recognizing them will help you avoid a lot of trouble, some which may even take years to resolve. Now, you may want to check out this helpful related article on getting pre-approval for loans.